After months of rumors, Moog has finally released its first polyphonic hardware synthesizer in over three decades: the Moog One, offered in either eight- or 16-voice options. 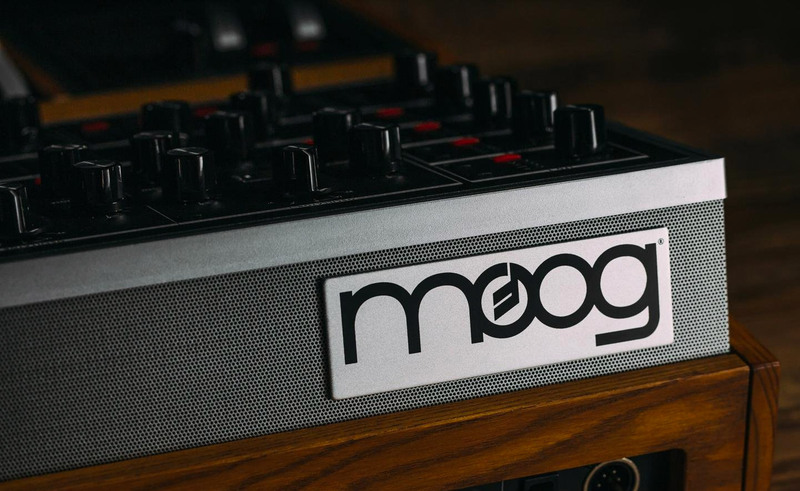 According to Moog, the Moog One is a "programmable tri-timbral analog synth featuring an intuitive tactile interface that transcends the boundary between instrument and artist, allowing you to achieve your musical goals unimpeded." Essentially three polysynths in one package, the tri-timbral architecture allows players to play three synths simultaneously, which can be stacked, split, and layered across a 61-key Fatar keyboard. Players can even set parameter settings, note range, arpeggiator, and sequencer and effects for each of the synths individually. The Moog One features three VCOs, a variable state filter, and a Moog ladder filter that can run in series or parallel, as well as an analog mixer with external audio input, four LFOs, three envelope generators, and a dual-source variable analog noise generator. In addition to effects like bit reduction, chorus, delay, and vocoding, Eventide has supplied a set of reverbs, and all of these effects can be assigned per voice or the master buss. The Moog One is capable of storing thousands and thousands of presets. Users can browse their full list from the synth's central LCD panel, or assign presets to the front-panel Performance Sets for quick access. Control-wise, players get a whopping 73 knobs, 144 buttons, and pressure-sensitive X/Y pad, with additional parameters accessible via the central LCD panel. There are a host of ins and outs for CV and gate signals, as well as four inputs for connecting external processors. The eight-voice and 16-voice Moog One are both available now, for $5,999 USD and $7,999 USD, respectively.